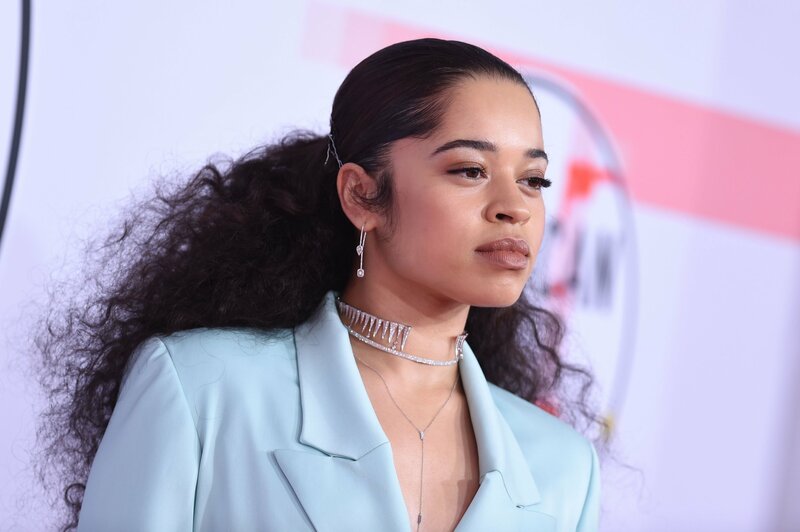 In late 2018, an hour could not go by without a music-oriented radio station anywhere in the world playing either “Boo’d Up” or “Trip”, two of Ella Mai most notable songs. The English singer and songwriter, who won Best R&B Song and was nominated for Song of the Year at the 2019 Grammy Awards, is known for her soulful ballads, and heart-wrenching break-up anthems, components that ensure greatness in an R&B singer. On the 3rd of November, 1994, Ella Mai Howell was born in London, England. Not much is known about her life before her teenage years other than the fact that she was a member of the church choir and that she used to audition for school musicals. A year before she turned 13, Mai moved to New York City with her mother who got a new job stateside. During this time, she attended Queens High School of Teaching in Glen Oaks, Queens. It is said that the young girl stopped singing around this time because she got conscious of her accent in a new country. She instead chose to take to playing soccer, both for her school and for a club. At her high school graduation ceremony, Ella Mai opted to sing the national anthem, where she wowed everybody with her voice, prompting her to give singing another chance. Following her return to England in 2014, Mai enrolled at the British and Irish Modern Music Institute London. While there, she formed a music trio called Arize who competed in the season 11 of The X Factor. The trio did not seem to have found their feet at the time as they were not able to go beyond initial auditions for the judges. The trio soon later went their separate ways but Mai did not shelve her ambitions of making it in music. Ella Mai continued to work on her music and in 2015, she released a four-track solo EP on SoundCloud titled Trouble. Her music caught the attention of numerous people, but it was Los Angeles music producer, DJ Mustard that signed her to his label, 10 Summers Records, which is under Interscope Records. Having now moved to LA, Mai was able to work with music heavyweights like TY Dolla Sign as she went on to release a number of EPs, becoming one of the most talked about new artists. It is widely believed that Ella Mai has a boyfriend who inspires her lyrics, however, his identity is not known. The singer looks to be keeping her relationship details under wraps as much possible and is not allowing anything to emerge of it in the media. The media, on the other hand, have looked to link her to a few other high profile people. In early 2018, it was reported that Mai could be dating basketball player John Wall. The speculation began after he tagged her in one of his videos on social media. Later on that year, she was rumored to be dating female singer Kehlani after a video of them cuddling emerged on the social media. Both speculations have since been proven to be false. Not much is known about Ella Mai’s parents other than that her father is Irish and her mother, who is a teacher, is Jamaican. Mai revealed in an interview that her mother was a huge fan of American Jazz music, specifically American Jazz singer Ella Fitzgerald, who is sometimes referred to as the First Lady of Song or Queen of Jazz. Her mother named her after the legendary musician. After having created several multi-platinum selling songs, and embarked on a number of tours including opening Ariana Grande’s Sweetener World Tour (2019) and then headlining The Debut Tour (2019), Ella Mai has been able to amass a net worth estimated to be around $6 million. The British singer, who names artists like Alicia Keys, Lauryn Hill, Mariah Carey, Chris Brown, and Brandy as her biggest influences, will surely be worth a lot more in the coming years if she carries on making Grammy Award-winning songs. Ella Mai stands at a height of 5 feet 7 inches (170 cm). The multiracial singer, whose distinctive features include curly hair, fuller lips, and a dimpled smile, also weighs about 55 kg (121 lbs). Details about her other body statistics are not available at the moment.